Illuminating marine safety since 1995. Since its inception the company has focused on manufacturing the most innovative and technologically advanced SOLAS marine safety lights in the world. Over the years the company has produced several ground breaking products, including the miniature AQ98 life jacket light which was the smallest on the market for over a decade. 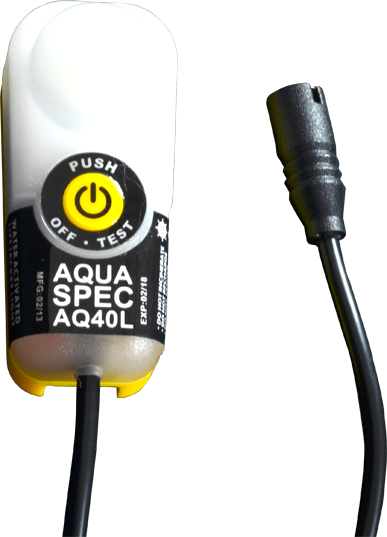 AquaSpec continues its tradition of product high quality products at competitive prices and in 2012 launched the best performing life jacket light on the market... the AQ40. 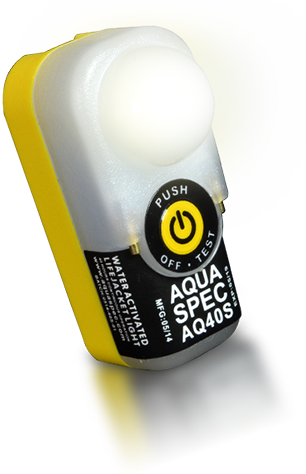 The AQ40 sets new standards in the lifejacket light market.  Never before has there been such a compact, well designed product delivering the same performance at this price point (or any price point in fact). The product is available both with a sensor lead (AQ40L) and with integral sensor points (AQ40S) to meet the needs of both the low volume retail and high volume commercial markets globally. AlgoSpan proudly holds all necessary approvals for its products, including MED certification accredited through the British Standards Institute, ISO24408, SOLAS and IMO Res MSC 81(70).